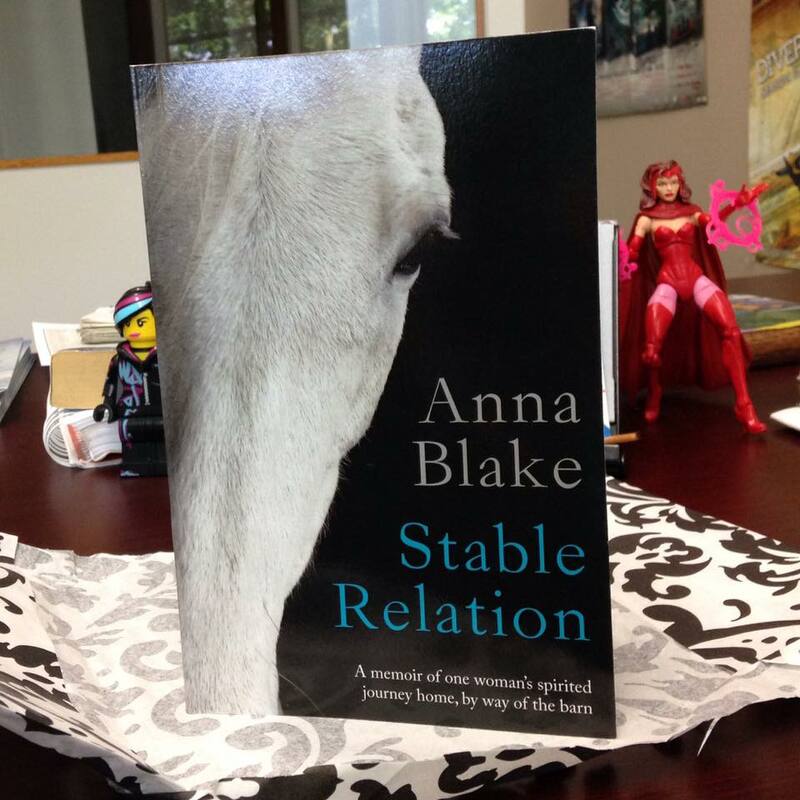 It’s been two years since Stable Relation launched with all the Fourth of July fireworks I could imagine. It was the kind of good-and-bad internal fireworks that make you think you probably shouldn’t leave the house. Not quite sick and not quite euphoric. I did all my homework before the book came out. I listened to the statistics on low sales for first-time authors published by independent small presses. Dismal. The numbers were even worse for self-published books, but I plowed gracelessly ahead anyway. It would be a crazy thing to hope you might be the exception to the rule. I kept my expectations in check. The book got a kind welcome; I’d been writing about it and I hoped that my friends and blog readers would buy it when it came out. Then, in a month or two, everything would return to normal. After all, I didn’t have that many friends and readers. Then something happened that I didn’t expect. 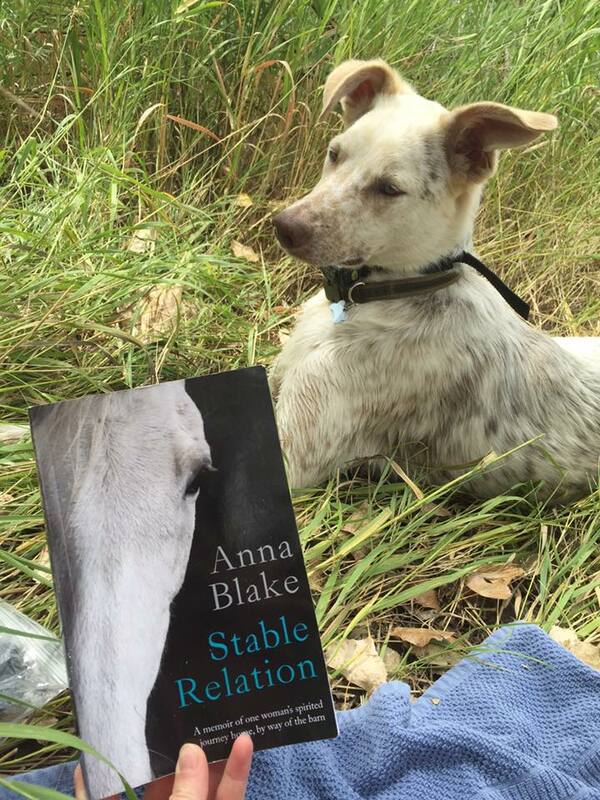 People took to Facebook sharing photos of their copy of Stable Relation in their homes, on vacation with them, and of course, with their animals. It was spontaneous; we all got to peer into each other’s windows a bit. Now it’s two years later, Stable Relation is still selling and two other books have my name on them. As these photos come up in my FB memories page, it’s a delightful reminder. Please be clear, it’s me that’s your fan. 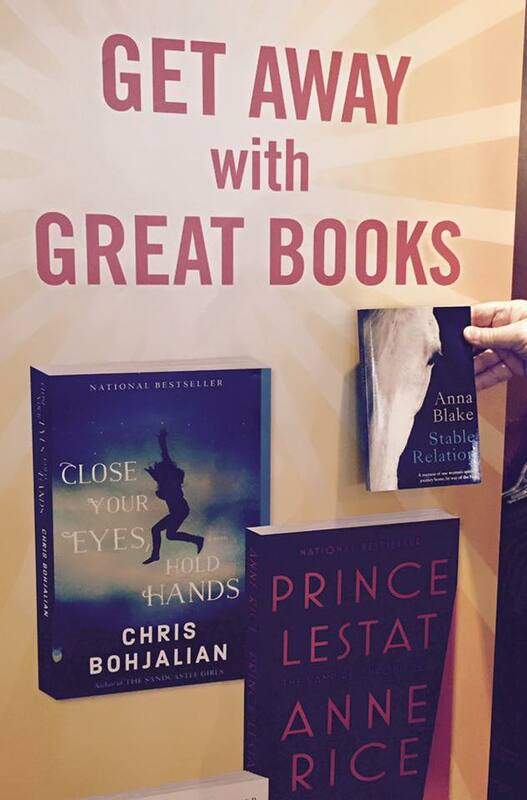 You all shared photos and comments, and beyond expectation, you physically shared the book with your friends. You started something that I could never have accomplished on my own. It’s all about you and I’m even more grateful now. Stable Relation was a long-term goal, and I’d been squinting at that for such a long time that I hadn’t given one thought what to do after. Besides continuing to write, of course. 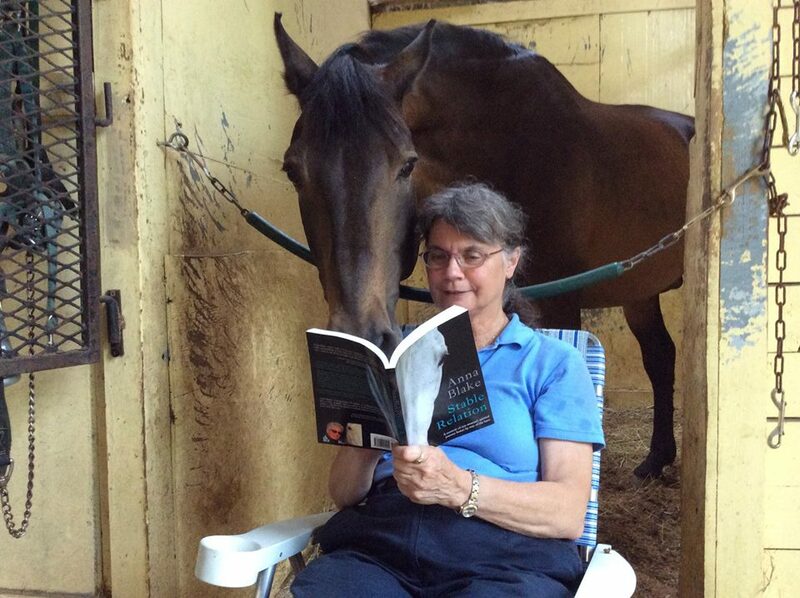 UPDATE: Clinics have been part of my horse training business for years but recently I updated that page on my website. To tell the silly truth, I wrote out an idea for clinics, hit ‘save draft’, and went to bed. I awoke to enthusiastic clinic requests, more than my usual morning confusion, and after going back to spell check my accidentally published draft, I decided to act like I meant to do that. Long story short: Here’s my clinic schedule. They have been going really well and you all get some of the credit for that, no doubt. Look me up if I’m in your area. Beyond that, we’re working on two more books and loving the Relaxed and Forward Blog more every day. So there I was, wandering through memories on Facebook, trying to decide what comes next, and because I’m not a linear thinker, I remembered my first cattle dog, Spam. She was a perfect example of her breed, meaning always at my heel and fairly intolerable. Some of us like a good bad-dog. The first time I threw a ball for Spam, she chased it down, hot and quick, and brought it right back. I was so surprised to see a pup be that sharp that all I could do was watch. What a smart girl. I tossed it again and she ran for it, picked it up but then stopped short. She looked me in the eye and dropped it. Then Spam surveyed the view from her new vantage point and headed out from there. Probably to look for a baby bunny to kill. I’m not saying I’m just like that cattle dog. Actually, I’m more like a donkey. But I do take Spam’s point. Don’t live on a loop; life doesn’t work that way. One thing should lead to another and it might be something that you can’t see from you’re standing. What if this break in the retrieve loop is a kind of sideways grace? The question that I like to ask people of a certain age is this: “Are you doing what you thought you’d be doing at this age?” The answer is always a quick no, followed by a thoughtful pause. Well, me neither. I’m not sure what I thought I would be doing at this age but nothing could ever be as surprising as real life has been, says this memoirist. I used to fight the curve ball, not that it did any good. I play the game differently now. When life throws something out in front of me, I chase out a good distance but once I get there, I expect to veer off course and then try to act like it was my idea all along. Call it grace. Sometimes losing direction is just taking an alternate route. Maybe Spam was right and fetch was always meant to be a game for bad-dogs and contrarians to expand their horizons. Congratulations! Pretty amazing what can happen in two years. I notice that it only took 62 years of prep for this overnight success. These last two have been very sweet years, indeed. Thanks, Nancy. Thanks, Deb. I appreciate your kind words. You’re who I’m talking about! Thank you, Kathy. 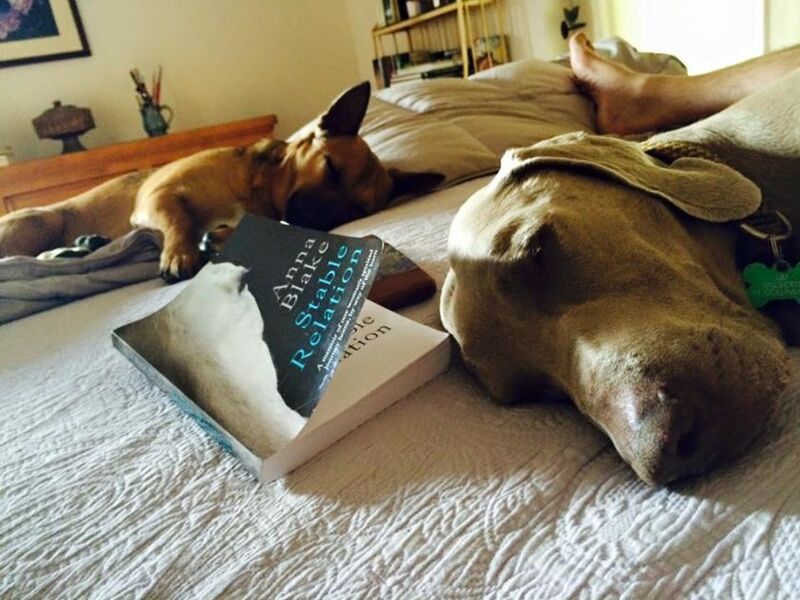 I appreciate your reading time.